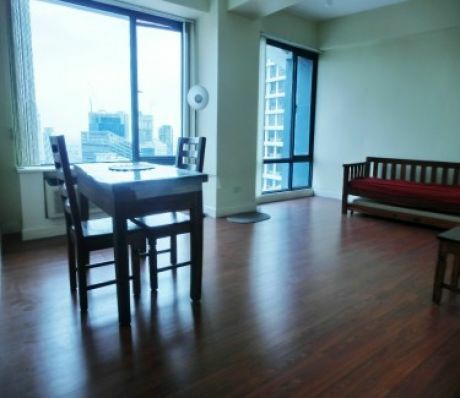 Rising in west Fort Bonifacio Global City, THE BELLAGIO condominium is composed by 3 towers namely Bellagio I, II, and III. Best feature: Amazing unobstructed views of the Golf Club for units facing west, and Fort Bonifacio for the units facing morning sun on east Amenities: Swimmingpool Gym club Sauna Game room Function room Day care center Location: Just outside the main entrance, you have a choice of the best restaurants in town, along Forbestown Center & Burgos Circle. Banks and the downtown Fort Bonifacio offices (NET buildings) can also be reached with a 5 minutes walk. If you need to work in Makati, the new Fort Bonifacio bus (west route), will take you to Ayala Avenue in 10 minutes via McKinley Road.